Imagine being in your car one day and suddenly all the people vanish. The cars, trucks and buildings are still there. The animals are still there also but they’re not how they use to be. The world is a different place, there are forces at work that are changing everything and they may never be the same. 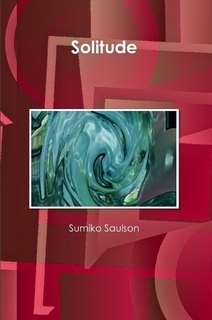 This is the story behind Sumiko Saulson’s Solitude. Solitude is about seven very different people and how they react to being alone after civilization disappears. One of them goes mad and talks to people who aren’t there. One goes to the zoo and frees all the animals and two others treat the whole situation like they are trapped in a video game. ~ by Sumiko Saulson on July 24, 2013.